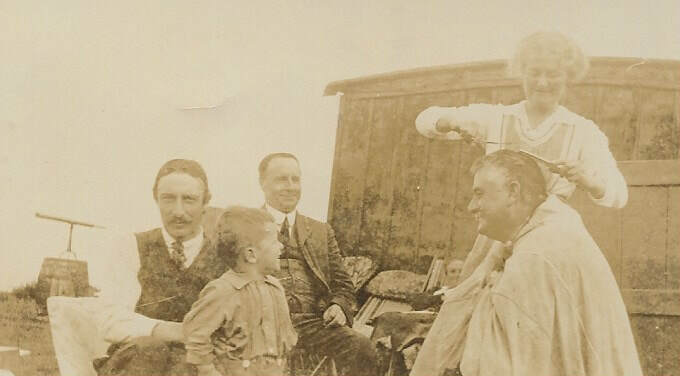 My great Aunt and artist, Ethel Mary Roberts giving my grandfather a haircut, while on holidays at The Rennies in 1924. My father is the little boy. 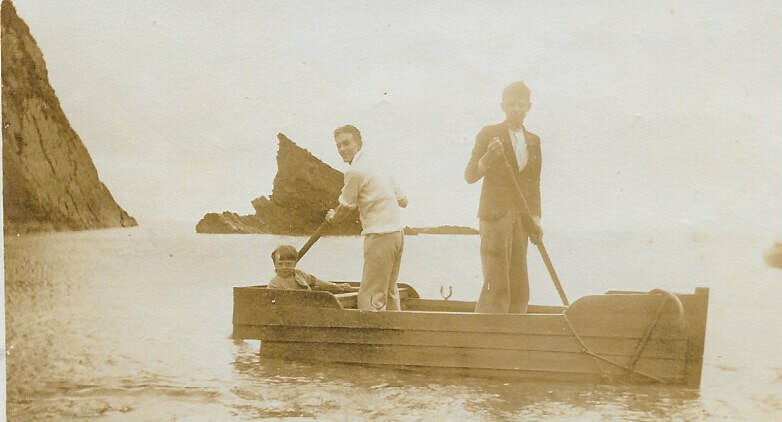 Family members boating at Man ‘O War Cove. In 1927, my grandfather, Hodder W.B. Roberts had an idea and took a sample of local clay to Stoke on Trent for analysis. Carrigaline Pottery was created and ran successfully for many years, fulfilling his plan for enterprise and employment in the then, small village. 75 years later, 8 miles away, I also ‘discovered’ clay and began pursuing a creative dream, restoring an old farm cottage into my ceramic studio. ​Capturing the ever-changing textures and colours of my natural environment, I create images in porcelain of a wild solitude – the land and sea around where I was born and now live – indeed the very cliffs where my grandfather always took his summer holiday - perhaps his spirit is still there?